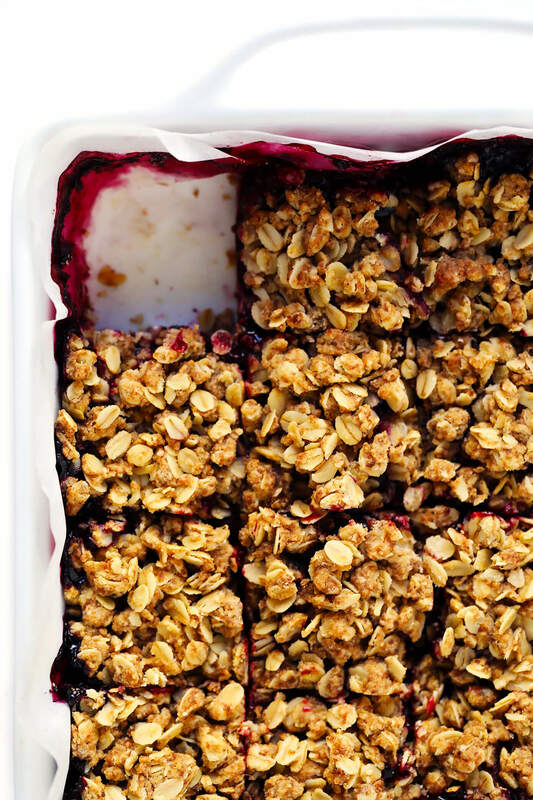 This Blueberry Crumble Bars recipe is quick and easy to make, and filled with the most irresistible sweet blueberry filling. 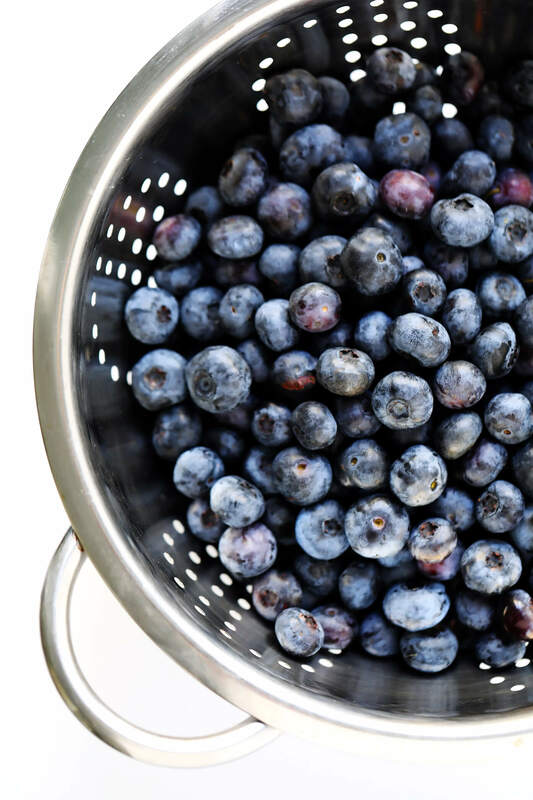 Perfect for fresh berries in the summertime, or frozen berries year-round. After six months of hosting back-to-back visitors here in our flat in Barcelona, we just picked up our final set of visitors for the season at the airport yesterday — my aunt, uncle and cousins from Kansas. As some of you have seen on Instagram, I’ve been tinkering around this week with recipes for how to make the perfect blueberry bars. And after many berrylicious batches, I’ve settled on a recipe that Barclay and I both love. It’s made with a buttery oatmeal crisp, which is pressed into a bar on the bottom layer and crumbled on top. It’s filled with a luscious blueberry filling, made with fresh blueberries this time of year (or frozen year-round). It’s mostly just sweetened with berries, instead of cups and cups of extra sugar. And it is absolutely delightful.